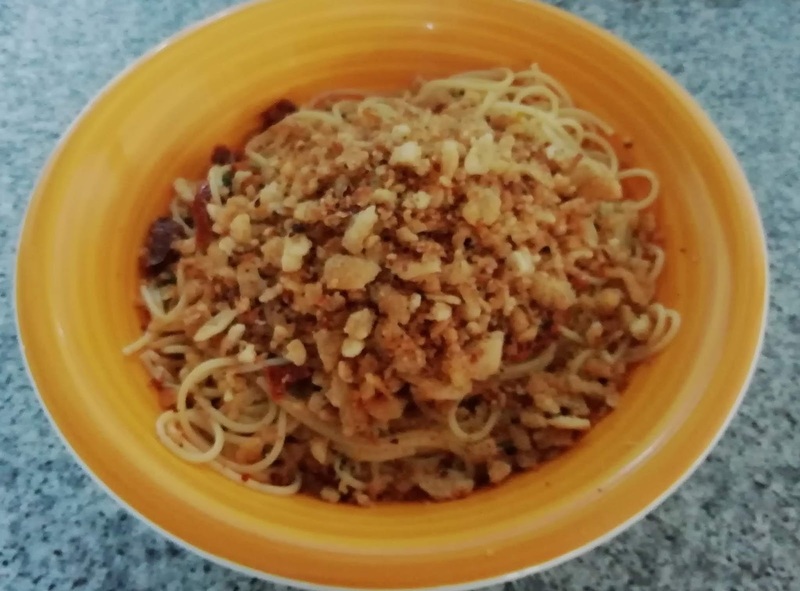 Another recipe, inspired by Zelda's new Jamie Oliver cookbook, with some adaptations. Also see Red Cabbage and Orange Salad. 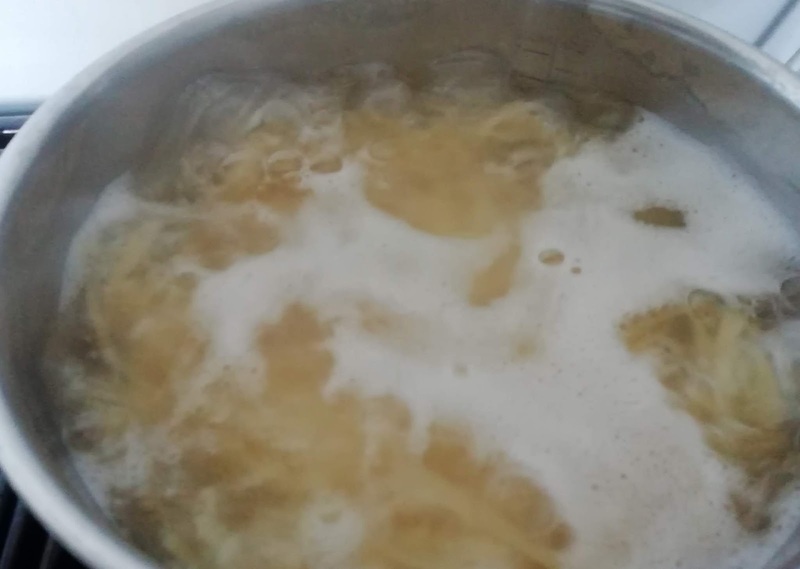 Start off by cooking the spaghetti in boiling salted water. 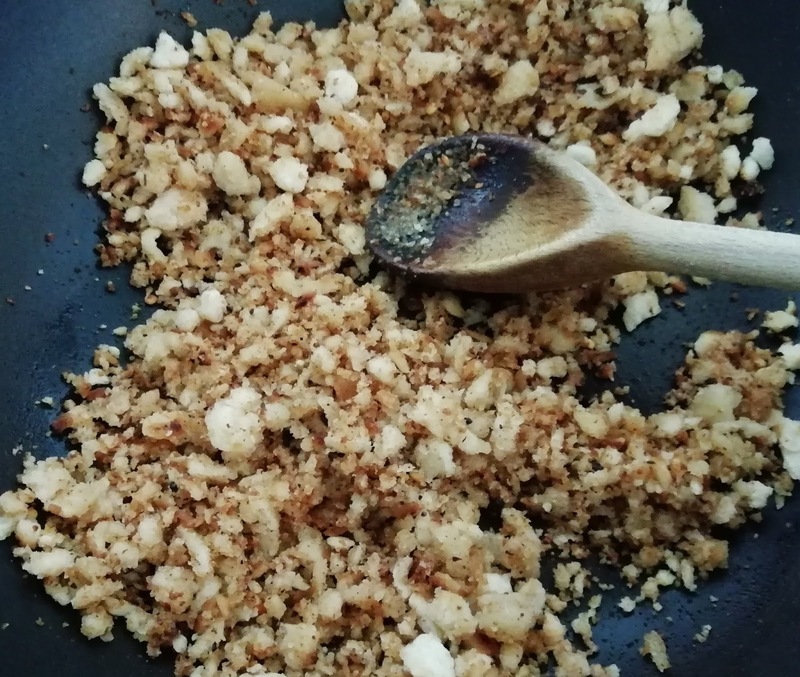 Heat the olive oil in a separate large pan and fry the breadcrumbs and 1tsp of the chilli flakes until the breadcrumbs are golden. 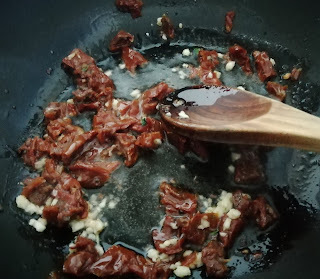 Then remove them from the pan. Place the tomatoes in their oil and the garlic in the same pan and fry gently until the garlic is golden. 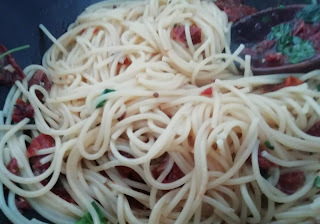 Drain the spaghetti, reserving some of the cooking water. Add the spaghetti and a little of the starchy water to the pan and combine. Transfer to a bowl and sprinkle the breadcrumbs and the remaining chilli flakes over the top. I agree that a bit of cheese would be good, although it is very tasty as it is. 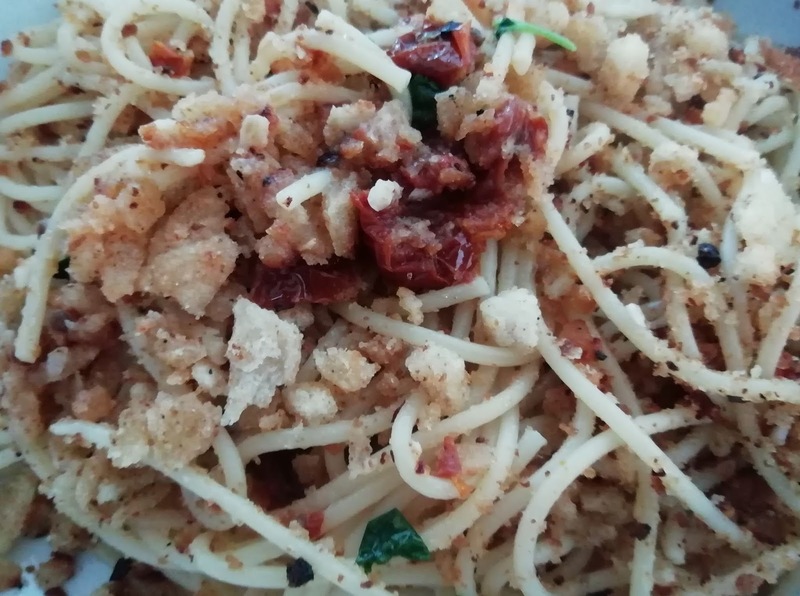 Breadcrumbs on spaghetti - who would have thought it could be so yummy?